THEY PLAY WITH HUGE SOUND, LOVING DETAIL AND THE KIND OF CONVICTION AND AUTHORITY THAT COMES FROM PERSONAL CONNECTION. AMAZING PERFORMANCE BY AMAZING MUSICIANS! I WAS DEEPLY IMPRESSED BY THIS ENSEMBLE’S PERFORMANCE! Yesterday we have started our tour in Ostrava region with trio concerts and in the upcoming days we will be performing in Prague, Italy and Slovenia. We are looking forward to seeing you tomorrow in Mirbach Palace in Bratislava. On the Sunday Matiné you can enjoy the music by E. Wolf-Ferrari, G. Klein a L. van Beethoven. We were nominated for a Classic Prague Awards in a Chamber music performance category! We are extremely happy and grateful for this nomination and would like to thank Kristina Fialová for a beautiful musicmaking and the jury for nominating us! 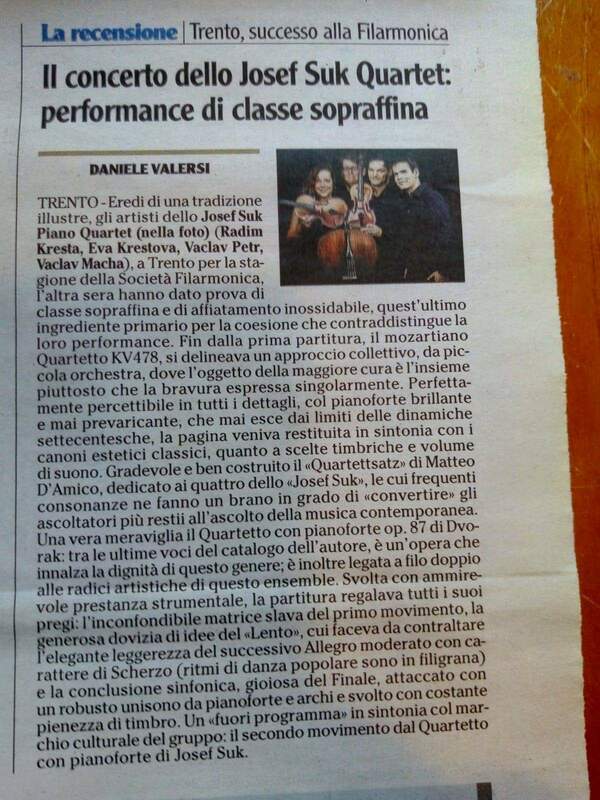 Who knows some italian, we are happy to present a review for our debut concert in Trento. We are getting ready for another 2 concerts in Italy. This time at the contemporary music festival in Trieste and another one in a chamber music concert series Societa Filarmonica di Trento. We would like to invite you to our concert to celebrate the 100th anniversary of our republic. We have prepared a special program for you composed from works from czech composers for piano trio, piano quartet and piano quintet. Among them included the world premiere of the new piano quartet by Jiří Gemrot. As a special guest we are more than happy to welcome an excellent violist Kristina Fialová. We are looking forward to seeing you all in Suk Hall in Rudolfinum on the 21st of October from 5 pm. The entry is free. There is our first performance on the Janáčkův Máj festival in just a couple days. Our cellist has just won the Prague Spring Competition! Just in a month we will play in Chrudim for the first time. Our CD with music by J. Suk and A. Dvořák was chosen among best recordings of the year 2017. Our first new year concert in Prague is already tomorrow! Come and listen to beautiful music of Mahler, Suk and Fauré. You can buy tickets online here. In couple days we are having our first concert in Macerata during the Appassionata Festival. We have just returned from our first Japan tour. Many thanks to Panocha Quartet and to everyone that made this tour possible. Our first Japan tour is coming up soon! In the end of summer we will play a set of concerts in Sapporo, Tokyo and others including a concert (String sextet by A. Dvořák) with a great Panocha Quartet (see more in a “concert” section). For those who didn’t make it to our concerts here is the link to hear us live from Rome. We are looking forward for our april italian tour. First stop in famous Quirinalle hall in Rome – live at RAI, then concerts in Trieste, Belluno and at festival in Bologna. Beautiful Mirror Chapel. We will play here the music of Suk, Družecký and Dvořák on the 3rd of april at 7:30 pm. Schumann`s music played in Robert-Schumann-Haus. Could you find better combination? Meet us in Zwickau on the 12th of March. We would like to invite you to our February`s concerts. On the 7th in Prague, 8th and 9th in Graz in Austria and on the 17th in Burgos in Spain. Who happens to be anywhere nearby, come and enjoy our music. On the 4th of January come and support us in Dvořák`s Hall in Rudolfinum. Beautiful hall, beautiful program. Don`t miss it!! We are happy to announce that we have started working on our new CD! This time for No.1 Czech label Supraphon. Music director is fantastic Jiří Gemrot and sound engineering is covered by excellent Ondřej Urban. Music of Dvořák and Suk is closest to our hearts and we are happy to finally record it on a CD!! We are happy to receive such a nice feedback for our “solo” performances in Italy. Be sure to tune radio Vltava in the morning of the 1st of June. We will be guests in “Telefonotéka” and will be happy anything you are interested about us. A great debut is coming! We are excited to perform for the first time on the Prague Spring festival. Come and support us on the 22nd of May in Suk Hall in Rudolfinum. We are looking forward to a special project with a great italian orchestra “Virtuosi Italiani”! You can hear all members of our quartet as soloists on concerts in Verona(8. 5. Salla Maffeiana) and in Trieste (9. 5. Ridotto Teatro Verdi). You can enjoy piano and cello in Haydn concertos and violin and viola together in Mozart`s Sinfonia Concertante. Contemporary music lovers will certainly enjoy our concert on the 5th of April in the Church of St. Vavřinec where beside others you can find on a program a piece for a piano trio written by an italian composer Matteo d`Amico. Congratulations Mrs. Marie Suková to a very beautiful anniversary. It was our pleasure to meet in person in Rudolfinum and by the music wish all the best to her 90th birthday in public!!! New review of the concert on the 22nd of February is just out!! We are looking forward to our upcoming concerts in Czech Republic: 10. 2. Liberec, 16. 2. Prague (Euroart festival), 22. 2. Prague (Great hall of the New Town’s Hall), where you can hear beside others three world premieres of the music written especially for us!!! Our new CD has just been released! 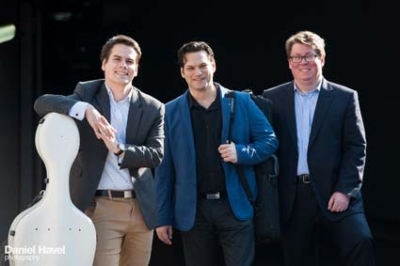 The Josef Suk Piano Trio will perform at the Biennale Musica festival in Venice, where it will perform along with pieces the world premiere of a work by Matteo D’Amico. Josef Suk Piano Quartet has recieved “Czech Chamber Music Society Award” for the best Czech ensemble of the Year 2014! Our new CD/DVD is released! Our next concerts are in Prague (18th October), Nitra (19th October), Gorizia (30th October) and Trieste (31st October). See you there! We´re preparing on our Italian tour: Verona, Forli (Emiglia Romagna Festival), Cividale del Friuli (Mittelfest), Monticello Conte Otto and Mantova – looking forward! :) See details in “EVENTS”. Next CD is in progress! From Sunday we record for “Azzurra music” in Verona Piano Quartets by J. Brahms op 25 and G. Mahler. Josef Suk Trio is on its turn in Verona too. Salla Maffeiana – 8th May, looking forward! 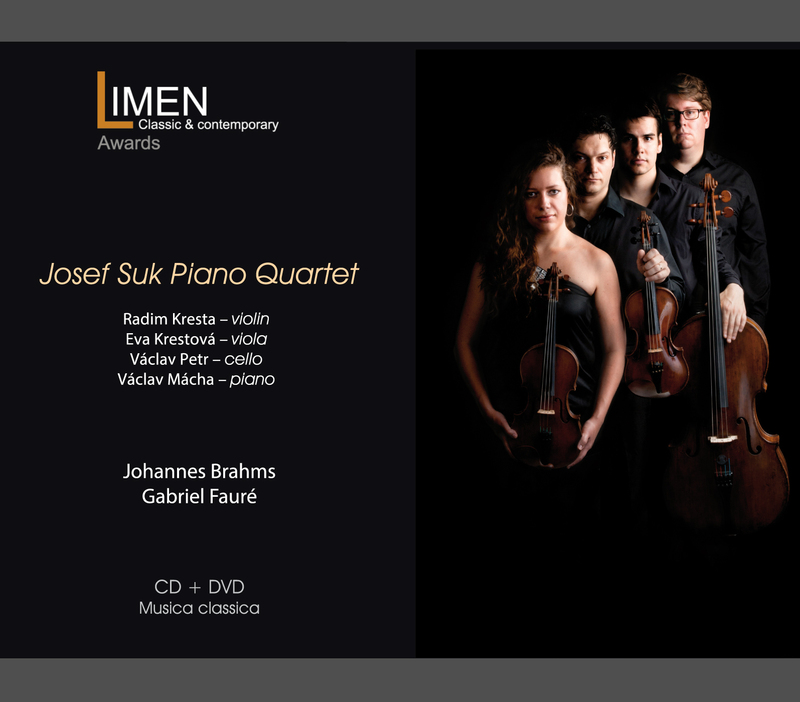 Josef Suk Piano Quartet has just arrived from Milan, where it has recorded its first CD and DVD for LIMEN. They also played the web-concert there which is going to be broadcasted soon! 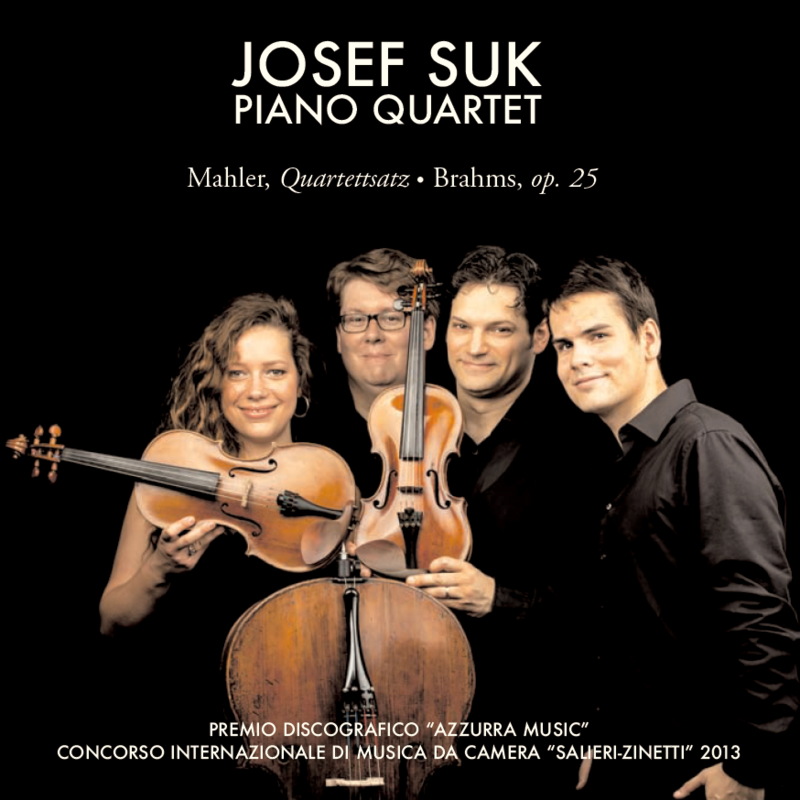 Josef Suk Piano Quartet is preparing on its debut in Milan where it is going to record its first CD and DVD for Limen music (with music of J. Brahms, G. Fauré) and play the concert which you can listen live online.